I’ve recently read articles on other websites about how the coin market has changed in the last few decades. 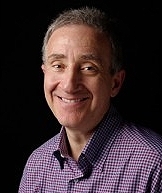 Surprisingly, too few of these articles mentioned the Internet coin market; the single biggest game-changer of the past decade, certainly, and along with third-party grading probably the most important development with numismatic applications since the 1950s. There are a few really important ways that the Internet has changed the market. Harnessing the power of the web was what catapulted Heritage to the position it now holds. But in addition to being a vehicle to sell and market coins, the Internet has changed the way that I personally look at each and every coin that I buy. As recently as a few years ago, I just bought and sold coins. When I purchased a coin I bought it for a number of reasons: its rarity, its level of value, its beauty, its historic significance, etc. Now, there is another point I must take into consideration: will it image well and look good on my website? In the Internet age, a coin that is not photogenic is a coin that won’t sell. Before I go further, let me explain what I mean. A few years back, I sold coins two ways: in person at coin shows and via the mail through printed catalogs (something I stopped doing in the late 1990s, in case you’re interested). The coins that I sold through the mail were purchased mostly because I liked them; not necessarily how I thought someone else would. Today, this has changed totally. Most coins that are sold today are sold over the Internet. I’ve never met many of my best customers. A number of these collectors have never gone to a show nor do they have any interest in going. They have learned to make their buying decisions based on what coins look like in images. What this means is that many gold coins that I might have purchased in the past I won’t purchase today because of factors that make them non-photogenic. Some examples would include an early gold coin that is nice except for adjustment marks on the central obverse or a coin that is totally original but very dark and unappealing as a result. The decisions that I make and the decisions that many collectors now make as well are based on the combination of factors that we call “eye appeal” in numismatics. As I’ve explained in other blogs, eye appeal is a phrase that refers to how the overall appearance of a coin is to the naked eye. Eye appeal is a component of factors that include but are not limited to: strike, luster, color and surface preservation. Let’s take a look at how each of these individual components has been affected by the Internet and the rise of coin buying via computer images. When it comes to gold coins, I think strike is the least important factor of the four that I mentioned above. I will certainly always buy an average quality strike of any gold coin and even a slightly below average struck example of a rarer issue that is otherwise market acceptable. But while I might have bought a weakly struck, high-grade New Orleans quarter eagle a few years ago, it is probable that I wouldn’t today because it won’t image well. There are exceptions to this rule, of course. For an issue that always comes weakly struck, I would buy a flat example. And for an exceedingly rare coin, strike remains relatively unimportant. Luster has grown dramatically in importance with the advent of the Internet. A coin that is dull and lackluster does not image well and is hard to sell as a result. A coin that has booming luster images (usually) images well and, as a result, it is easier to sell. In the early days of Internet imaging, it was hard to capture luster. As the equipment and the imagers both improve, capturing luster is no longer so difficult. Breaking this down even further, the type of luster a coin shows has an impact on how it will sell in the age of the Internet. Coins with thick, billowy mint frost look great in images while coins with hard, grainy satiny luster typically do not. Semi-prooflike coins are very hard to image while deeply prooflike coins can image well provided that lighting conditions are ideal. I think the difficulty in imaging their “finish” is one of the reasons why Matte Proof gold has fallen out of favor with collectors while bright, two-tone Deep Cameo/Ultra Cameo coins sell for a strong premium. Color has gained in importance as well. In the pre-Internet days, you could write in a description that a coin had “great color” but that was basically a subjective statement. Color is, of course, the most visual of the four eye appeal components and unless a collector is color-blind (don’t laugh; I know of a number of major collectors who are either color-blind or incapable of seeing subtle color gradations) he will probably be greatly affected by seeing a gold coin with beautiful color. In the past, I might have ignored a coin like an AU58 1843 half eagle in Uncirculated with great color. Today, I would be far more interested in having a coin like this in my inventory because my guess is that it would image well and sell quickly as a result. The preservation of a coin’s surface is probably the most subjective of the four components of eye appeal. There is no set formula that states how many marks are “allowable’ on an MS65 or how much more significant a mark is on the obverse than on the reverse. As a coin buyer, I have become far more sensitive to marks in the Internet era. If an otherwise nice coin has a major mark on the cheek of Liberty, I’m inclined not to buy it because it will not look good in an image. The same holds true for a coin that has clusters of deep marks in the fields. How does the Internet impact you as a collector? 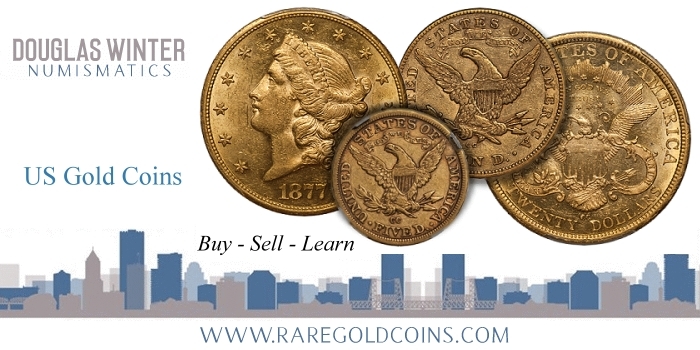 I mentioned that most collectors are buying many (if not all) of their coins based on images that see on websites like www.raregoldcoins.com. When you go to sell your coins, the same considerations that I mentioned will apply to you as well. Let’s say that you decide to put your coins in an auction. If the quality of the images are not good, that isn’t going to help your bottom line one bit. But even if the images are great, if your coins aren’t photogenic then you’re likely to lose the online bidders that now represent the lion’s share of coin auctions. And this is only going to increase down the road. We are already seeing a market that is growing increasingly bifurcated between pretty coins and ugly coins. Why is one AU58 Charlotte half eagle worth $6,000 while another similarly graded example of the same date worth $4,000? Because one is a nice coin and the other isn’t; that’s obvious. But what’s not so obvious is that the concept of “nice” has changed. The nice AU58 might not necessarily be the dark, crusty one in the future; it could be the more photogenic coin with booming luster or the coin with subtle color that just happens to image well. 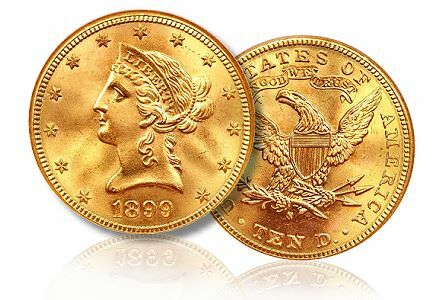 Interested in assembling a collection of classic U.S. gold coins? Contact Doug Winter for collecting suggestions and for available coins. He can be reached by email at dwn@ont.com. Great article Doug. As an ‘old school’ show guy, your explanation of eye appeal in this internet era has certainly given me some ‘food for thought’. I like crusty original skin on a coin, but I see your point. Crusty original skin might not image and therefore that might very well hurt the saleability of an item. Intuitively I guess I knew this, but your explanation hits home. Once again, great article. Thanks and Best Regards, Vic Bozarth. Thanks for the informative article Doug. Since I will some day start filling in the gold page in the 7070 type set, this information might lead me to find a few bargains. I can’t be too picky because of my budget range. I’d love to get everything in at least EF-40. Do you think in this circulated grade “eye appeal” gives enough spread to choose the lower priced coin without feeling unhappy about it?